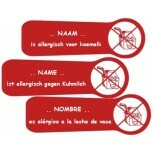 Our safety allergy labels are especially designed for kids who are allergic to a.o. cows' milk, eggs, gluten, peanuts, sugar and fish. 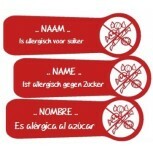 Thanks to these labels you indicate very clearly your child's specific allergies. One less thing to worry about! PS: Do you need another allergy label? Please let us know. 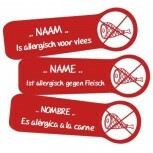 12 Personalized sticky egg allergy name labels! 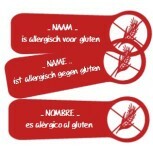 12 Personalized sticky gluten allergy name labels! 12 Personalized sticky cow milk allergy name labels! 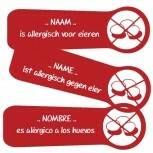 12 Personalized sticky nuts- peanuts allergy name labels! 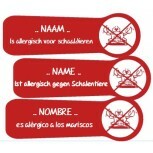 12 Personalized sticky crustaceans allergy name labels! 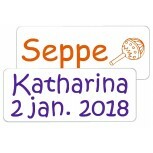 12 Personalized sticky sugar allergy name labels! 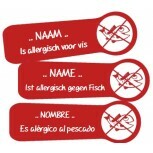 12 Personalized sticky fish allergy name labels! 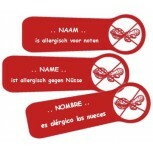 12 Personalized sticky meat allergy name labels!